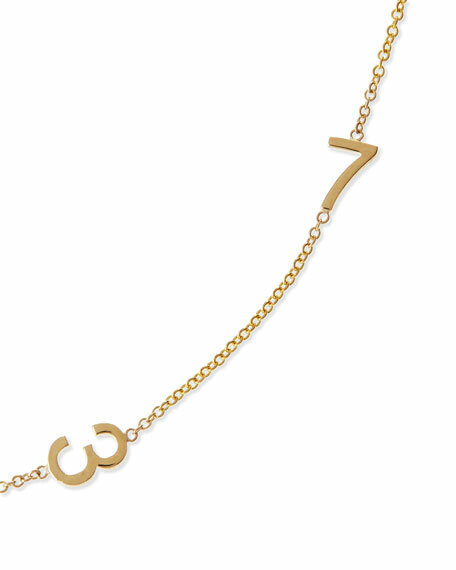 This Maya Brenner Designs necklace is dainty but makes great impact with your lucky numbers, perfect for becoming your signature bauble. 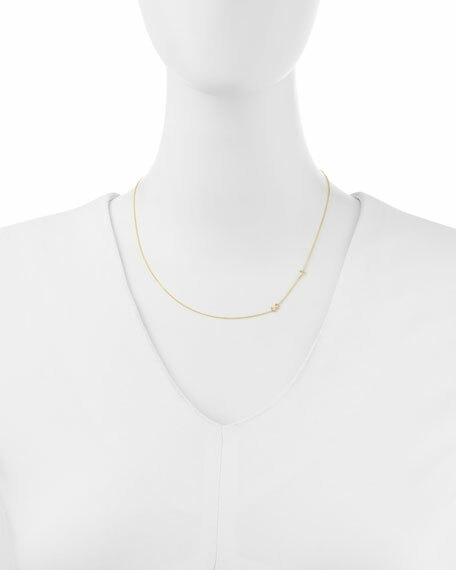 14-karat yellow gold necklace by Maya Brenner Designs. Two integrated number pendants of your choice. With every purchase Akola reinvests 100% of profits to empower women and families in poverty. Akola long mixed bead and chain station necklace. Polished yellow golden brass hardware and links. Multi-size, multihued blue bead stations. Interlocking curved cable-chain links. Made in USA. 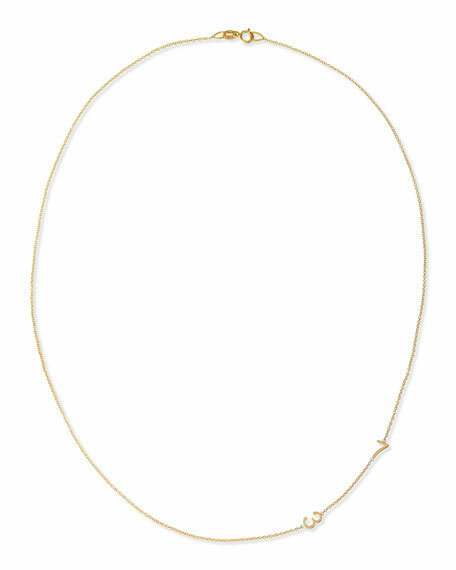 Star-disc necklace from gorjana. 18-karat yellow gold plated brass. Enamel disc with lightning bolt motif. Adjustable; spring ring with slide bead. Approx. 18"L; 3/4"W charm. Imported.